Antibiotic Overuse leading to Superbugs! Antibiotics, develop in the 1940’s, could well be the greatest contribution to mankind coming from medicine! They lengthened average lifespan, and drastically reduced infant mortality. Nowadays, most infections in the developed world are due to viruses rather than bacteria because antibiotics work solely on bacteria. Unfortunately for us, nature is extremely tricky. 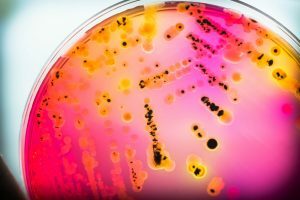 Bacteria have developed the ability to adapt and survive antibiotics. When that happens, we simply change antibiotics to finish the infection. Big Pharma used to do a good job developing new antibiotics. The difficulty is that more advanced antibiotics are generally more toxic for humans, so we have to weigh benefits vs. side effects. 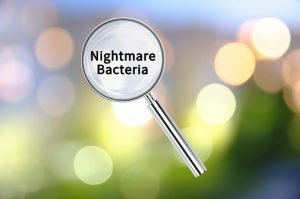 Recently all the major medical institutions recognize that there is a crisis around superbugs which are resistant to nearly all antibiotics, and even ALL antibiotics. When antibiotics kill bacteria, they do not kill all of them. A small percentage of the bacterial population randomly happen to be resistant to the antibiotic. This has been known in Bacteriology forever. It was not considered a problem because the body’s immune system can handle the remaining small numbers. Still, the resistant ones can grow back as resistant to the original antibiotic. Suppose there are 100 million bacteria in a given infection. After antibiotics, say only a few hundred or a thousand remain. The immune system can handle that. But in instances were the immune system is not working properly, those remaining bacteria double every 20 minutes. If you play with the mathematics a bit, you can see that many millions will be active within 12 hours or a day. We call that secondary infection. This is why doctors always instruct patients to finish the full course of antibiotics rather than stopping within a few days; the idea is to try to kill enough bacteria that secondary infection doesn’t occur, because THAT infection will be resistant to that antibiotic. When I was studying Bacteriology at UCLA prior to medical school, we used to culture bacteria after exposing a surface to antiseptic alcohol. We could always grow some bacteria not only resistant to the alcohol, but actively craving to EAT the alcohol! The same happens with alcohol wipes that people use so often in public places! Even antibacterial soaps that are so popular, being sold as hygienic, reliably become creators of bacteria that consider the antibacterial soap a delicacy! There is another process that enhances development of drug resistance — actual transfer of DNA genes that confer resistance from one cell to another. This enhances survival even between different bacterial species. Consider how powerful this could be in the mix of species in everyone’s gut! If someone takes too many antibiotics, snippets of DNA are transferred in the gut to other species of bacteria, meaning that future infections might be harder to treat! For the last few decades, more and more cases of infection have occurred in the world that are resistant to all antibiotics. According to the CDC, 2 million people develop antibiotic resistance each year in the US, and 230,000 of them die because of lack of an effective antibiotic. Most of these cases have atypical germs and/or antibiotics that could work are too toxic or too expensive. 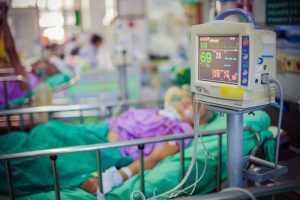 Recent news told the story of a woman in Pennsylvania who acquired an E. coli infection in an emerging country. This bacterium is the most common one in the intestines of everyone. Hers, however, is the first known case which is resistant to literally every known antibiotic, including the last-ditch toxic drug reserved for exactly this situation — Colistin. Cases such as hers create a desperate situation for doctors. As her infection spreads, about the only they can do is serial amputations — removing portions of sick organs and tissues as the infection spreads — until she dies. Imagine the threat to everyone working in that hospital, indeed to the country as a whole! Such a common bacterium is adapted to all surfaces in our daily lives. E. coli is the major organism in everyone’s intestines; if they become replaced by this new version, the epidemic could be unstoppable! Another threat is that Big Pharma has for quite awhile not been motivated to make new antibiotics. They make most of their money on blockbuster drugs like statins and antidepressants that people take for a long time. Antibiotics are typically taken for 7 or 10 days — not a large enough profit margin. Antibiotics are used in feed stock animals in order to enhance growth and prevent infections, thus increasing their profits. These antibiotics themselves then pass to anyone who eats the meat, of course. Because antibiotic-resistance genes can transfer from one cell to another, the same genes are being transferred to human intestines as well! 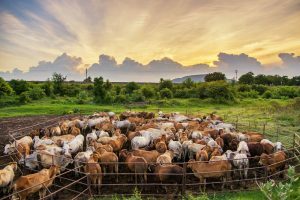 WHO, FDA, CDC, the American Academy of Pediatrics, and other professional organizations are calling for elimination of the practice of treating feed stock with antibiotics. Consumers can be a problem, too. In many parts of the world, antibiotics are available without prescription over-the-counter. It is common practice for people to take them on their own whenever they get sick, without knowing whether they have a virus or bacteria. And even if it is bacterial, they do not know whether the bacterium is sensitive to the antibiotic they take. This easily leads to massive enhancement of antibiotic-resistant bacteria! In the US, doctors themselves are guilty of over-prescribing antibiotics. CDC papers make a strong point of describing the crisis. Antibiotics do not work for viruses, yet they are prescribed almost automatically for common ailments such as colds, flu, ear infections, and sinus infections. There are abundant studies showing clearly that antibiotics are not only ineffective for these common ailments but actually prolong them and create more over time after antibiotics are given! Nearly all professional organizations have now produced white papers to give physicians advice on how to be careful and accurate in prescribing antibiotics, rather than simply relying on so-called “broad-spectrum” antibiotics. First, simply being aware of the issue is a big step. Try to buy meats that have not been raised using antibiotics! When you do get sick, don’t pressure your doctor for rapid relief. This merely encourages the doctor to prescribe antibiotics without proper evaluation. Ask for “culture and sensitivity” before taking antibiotics. This validates whether it is indeed a bacterial infection, which species is involved, and whether the chosen antibiotic will actually work. It is true that this takes a couple of extra days waiting on the cultures, but it is a precaution against unnecessary antibiotic use. Finally, try to express to politicians directly and via social media that Big Pharma should be given subsidies or tax breaks for making new antibiotics. If they don’t become involved, there is a clear threat to all of us as a community! I have had an ongoing ear infection since September 2016.. have taken cipro 4 times and a dose of levaquin because I also had a bladder infection in Jan 2017…. none of these antibiotics work anymore for me. I have developed a severe peripheral neuropathy on my whole right side of body. This is my first time to your website. What can I do? Yes, this is an all-too-common problem.Too bad that you happen to be one of the victims. The best recommendation is to seek out a good homeopath in your area to stimulate your body to heal this itself.